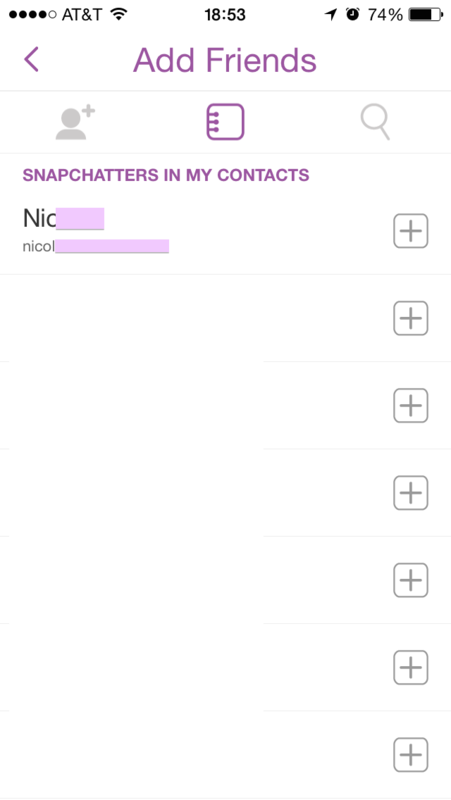 Dear Snapchat, disclosing usernames could potentially violate other privacy. Robert Ross is writing on the Svbtle network. First and foremost, I have not abused and will not abuse what I’m about to write about. This is just some thoughts that I’ve had especially with the recent tragedy at UCSB. This isn’t about fear of rejection or anything to that nature. I’m mostly trying to outline that social apps aren’t always federated in the way some people treat them. So lets create a situation that actually happens pretty frequently. A guy and a girl end up in a conversation at a bar. At the end of the night when tabs are closed and the guy shudders at the amount of money he just spent on craft beer, he goes to the bathroom to muster the courage to ask for said lady’s number. When he returns he asks the lady he’s just had a great time with for her phone number. Her, having the same good time, obliges and adds it to his phone. Final goodbyes are said and they go their separate ways. No harm, no foul. But the problem isn’t in this exchange, this is fine (in my opinion). Both parties were polite. The problem is when some things just go angled south. Maybe after a txt conversation someone decides that “eh, maybe I don’t want to take this person on a date after all” and ceases to stop messaging them. This happens. Hell it has happened on my end. But lets stick to my point. I’ve removed any revealing information, but under the name of the person in my contacts list, someone who I have their number because they gave it to me, is their snapchat username. Now if you’re like me, you try to use the same username for any service you sign up for. Most people do this I’d say. So now that I can see this person in my snapchat contacts list along with their username, I have the option to essentially try ANY social network with that username. So the person I have in my “Snapchatters in my contacts” list uses the same Instagram username. The problem I have with this is that now this MAYBE (huge maybe) disgruntled person has a way of still seeing what this person is doing that maybe rejected them. 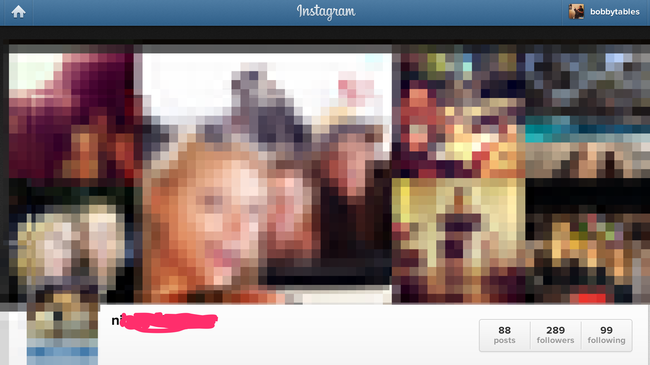 That maybe this could perpetuate hate towards the other person by way of someone looking at an LED screen. First off, I’m not trying to attack snapchat on this. I think it’s something that can easily be overlooked. My point is to simply say that be careful about what you make public. Be it a common username or your Instagram feed. Make ALL of your social networks private unless you really are comfortable with people seeing everything you do on them. Have variants of usernames maybe. Don’t stop being a human, I’m not proposing to stop giving out numbers or asking for them. I’m saying just be careful about what you post on the internet.